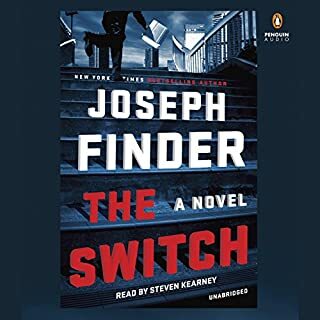 Joseph Finder books are what they are - a "summer popcorn flick", not deep literature. This book follows that pattern. It is thrilling, engaging and entertaining, but there are parts that are a bit outlandish and unbelievable. It does give one pause to ponder the degree to which we can be monitored and tracked by the government given our use of a variety of technologies in our daily lives. Not so much a legal thriller but great! This was a different type of John Grisham novel. There are legal angles, but the lead characters are not lawyers but rather writers. The story is somewhat segmented which at first seemed a little disconnected. However, by the middle of the book, the characters and subplots of those segments came together in a coherent whole, though with a loose end (which I won't mention to avoid spoilers). Overall, this was a very enjoyable read and the subject of rare bookselling, which plays a significant role in the plot, piqued my interest in more serious literary fiction rather than, ironically, the commercial fiction of authors such as John Grisham. 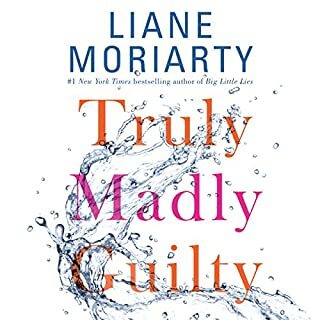 I know I am not the target demographic for a Liane Moriarty book, so take my review with a grain of salt if you wish. I liked two of her earlier novels and had high hopes for this one. Unfortunately, the plot never really gained momentum. There was a twist which, when finally revealed was a bit anti-climatic. It left me wondering what the rest of the novel would be about, perhaps a secondary mystery revealed. However, that never happened and the book devolved in the mess that I expect from many "chick lit" books - overanalysis of the the most mundane components of human interaction. The ending made the book a huge disappointment. While I have hopes that a future novel could be more like her earlier works, this book would give me pause before I select another Liane Moriarty book. Another excellent Harry Bosch story. The only real complaint was that the novel intertwined two story lines that did not really cross. Neither was deep enough on its own to be an entire book. It did not drastically take away from the book, but there was a time, when the story return to one of the threads, that I felt like the other was very distant and disconnected. 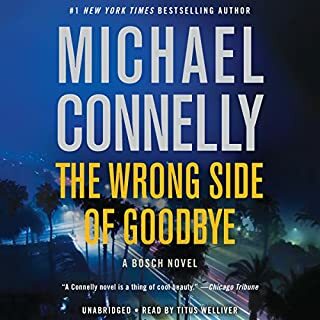 Still, I continue to love the Harry Bosch stories and I do like where Connelly left Harry at the end. It should make future plots better, if not as great as earlier in the series. "A Man Called Ove" was not high on my reading list. When I first read the description, I thought "chick lit." While I am not the kind of guy that dismisses any and all "chick books" off hand, they have an uphill fight to make it to the top of my reading list. My wife read this book for a book club (I think...she reads A LOT, far more than I!) and said "Oh my goodness, it was like reading about you!" 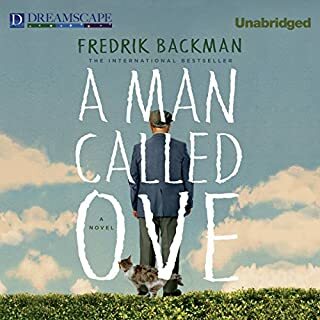 Well, that piqued my interest so I moved "A Man Called Ove" to the top of my reading list. I immediately saw why she said I was much like Ove. He is to the point. He has a very structured view of the world with few shades of grey. He does not suffer fools easily. I am not the borderline Luddite that he is, but I saw the similarities. As such, I found much of the book quite humorous, but as the novel progressed, you saw Ove's sharp edges smooth and you gained deeper visibility into his softer side. I continued to see a lot of myself. I think the moral of the story is the impact of people on our lives. People at the right time and place can impact us and draw out our inner humanity, even when it is hidden. While I did laugh out loud many times, I identified with Ove and found myself down at the end, but uplifted at the impact this crotchety man had on the people around him and his ultimate fondness for those whom he initially met with disdain. Not on par with "Cabin 10"
I would give this a 3.5 if I could. Overall, I have mixed feelings on this book. 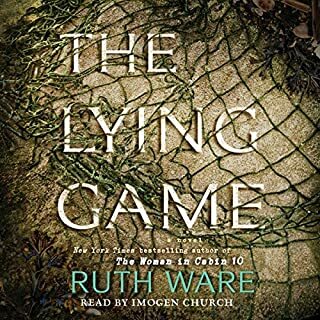 This is the second Ruth Ware book and I honestly am unsure if I like it more or less than the other one I read, The Woman in Cabin 10. This book shows the damage that can be caused by lying, both in big ways and little. There is of course the "big lie" that pervades the entire novel, a lie whose reveal is a bit anti-climatic, though perhaps more believable than the reveal in Cabin 10. However, there are the other lies, the "small lies" that I find frustrating with this character. Lying to her "partner," calling her "partner" her "husband" though he is not, lying to her friends, lying, lying, lying. I get it...that is the theme of the book, but, as someone who tries to be always truthful, I found this incredibly annoying. I also found the main character irritating, foremost her inability to take the bulk of the responsibility for her and her issues with her significant other. I also found her lack of loyalty to him versus her friends distasteful, but then again she apparently never made the commitment of marriage so perhaps this is understandable. Overall, this was not a bad book, but it left me wanting, feeling it could have been a deeper story, with less maddening points, while still making the points it did on the danger and corrosiveness of dishonesty. 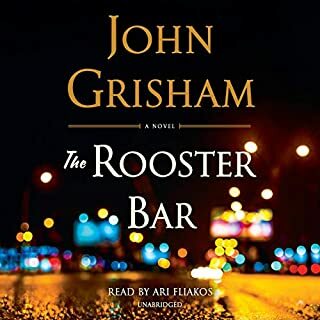 I think John Grisham is getting back to the style that made me a big fan 20 years ago. The pacing and legal machinations and quandaries, along with a touch of an exotic destination, in this book, while not on the level of his classics of the 90s, surpass some of his work of the last decade. The book leans heavily on the naivete of youthful students and lawyers and, while it has a tinge of political commentary, it is not to the in-your-face level of some of his novels. George Smiley is no one's idea of a spy - which is perhaps why he's such a natural. But Smiley apparently made a mistake. After a routine security interview, he concluded that the affable Samuel Fennan had nothing to hide. Why, then, did the man from the Foreign Office shoot himself in the head only hours later? Or did he? 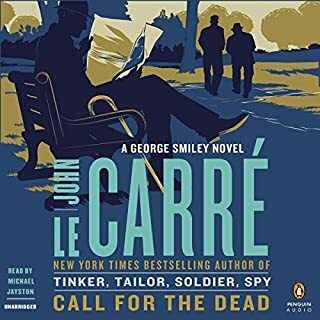 The heart-stopping tale of intrigue that launched both novelist and spy, Call for the Dead is an essential introduction to le Carre's chillingly amoral universe. This was my first John le Carré novel, and while I was not disappointed, the novel was not quite what I expected. I did like and find the George Smiley character and world of mid-20th century British intelligence interesting and compelling. Smiley is not your typical spy and certainly not in the James Bond mold. He is far more cerebral as opposed to an action hero. That being said, "Call for the Dead" felt more like a murder mystery than a book from an iconic espionage author. 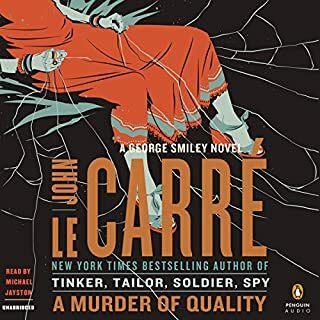 However, from what I have read, this book and the second Smiley novel are more murder mystery, with the classic espionage stories starting in the third novel. As for production value, production and narration was good but somewhat bland. It is a very short book so it there is not a lot of content for your dollar. First, let me say there are some spoilers here so proceed with caution. Second, I now realize that this is serious "chick lit." 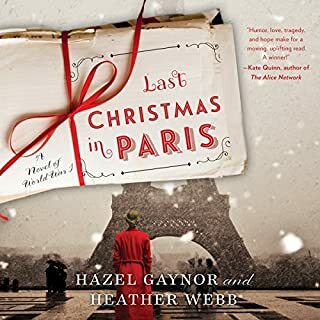 I probably should have realized that when I read the description but I was blinded by the Parisian setting - an aspect that is of limited relevance to the book - and the romantic nature of the book. I am a sappy romantic at heart so when I read the description, I thought this sounded like a good "Christmas book." In addition, I was enthralled to read a book set in Paris. I love the city, and true to my romantic nature, I proposed to my wife there. 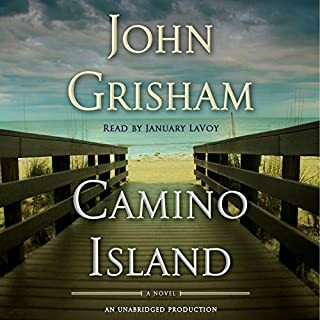 So I set out listening to this book in early December. Sadly, there was little about Christmas in the book - it just happened that the contemporary aspects of the book were set near Christmas but could have well been at some other time of year. And about the only exposure you get to Paris are a few references to locations around the city, an apartment and a cafe. Both of these were disappointing. That being said, what really disappointed me was how the book devolved near the end. It was a decent historical fiction novel for about 75% of the book. While the method of telling the story through a series of letters and telegrams was a little disconnected and did not let the story flow quite as well as it could have, that was a key aspect to the overall plot of the book. As a device it was not a flop...just different. Toward the end, however, the female protagonist, Evie, shifts from being a strong wartime woman to being whiny and uncertain and illogical. For example, at one point, with Tom in France fighting in the horror that was World War I, after spending most of the book being sympathetic and supportive of him, Evie starts whining about why isn't he writing enough? I don't know...perhaps he is under constant attack in the trenchs by Germans? Later, when Tom learns of Hopper's proposal and misinterprets events and sends a meltdown letter, Evie takes over a month to respond and attempt to set the record straight. Granted, she was busy with her own war service, but she found time to write to her friend Alice with a hand-wringing letter of "Oh what do I do??" This from a woman who was gung-ho, determined and decisive enough to serve in some capacity in WWI. The book was good. Not on par with a Nicholas Sparks novel and short on Christmas and Paris, but not a bad read. Unfortunately, the weaknesses in the plot near the end marred the book and left the story less powerful than it could have been. Miss Ailsa Brimley is in a quandary. She's received a peculiar letter from Mrs. Stella Rode, saying that she fears her husband - an assistant master at Carne School - is trying to kill her. Reluctant to go to the police, Miss Brimley calls upon her old wartime colleague, George Smiley. Unfortunately, it's too late. Mrs. Rode has just been murdered. As Smiley takes up the investigation, he realizes that in life - as in espionage—nothing is quite what it appears. I must admit that, had I not wanted to get to the George Smiley books more focused on Cold War espionage (e.g. Tinker, Tailor, Soldier, Spy) I would probably not have finished this book. I found it slow and fairly dull. Smiley is a great spy but as a murder investigator, he was a big stretch. I am very glad Le Carré took this character in a different direction.